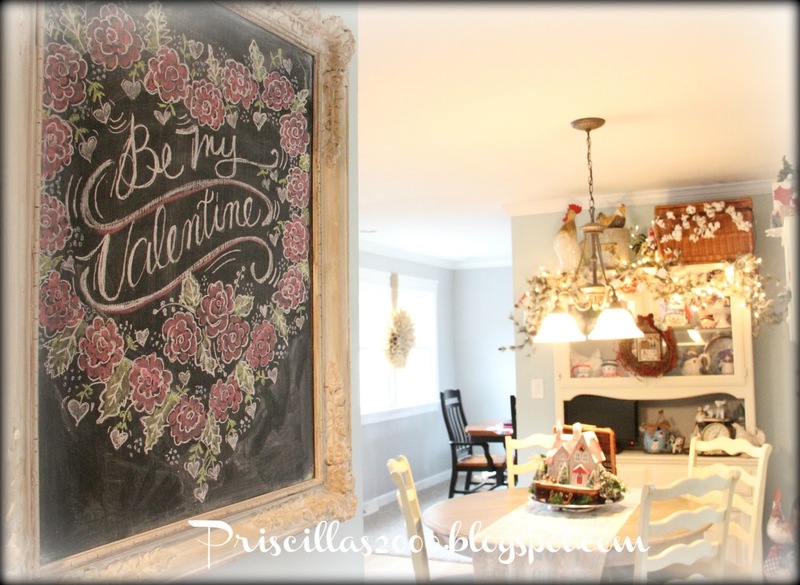 There is a new chalkboard in the house for Valentines Day! and if you are a regular reader of my blog you will notice the kitchen is no longer yellow! It is rainwashed ( blue, grey, green) I love the change! 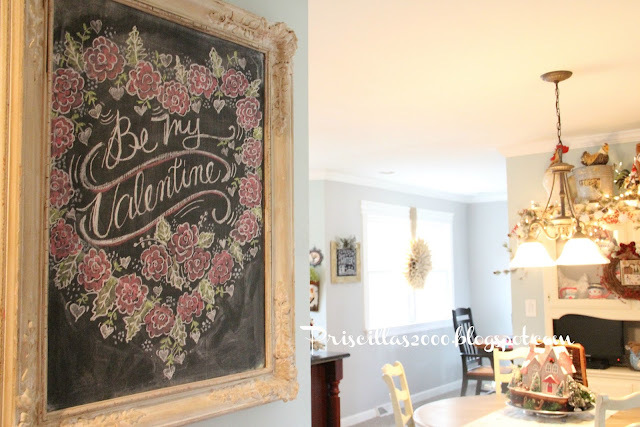 The chalkboard is in a thrifted frame that I had a board cut to fit and I change it out seasonally.. 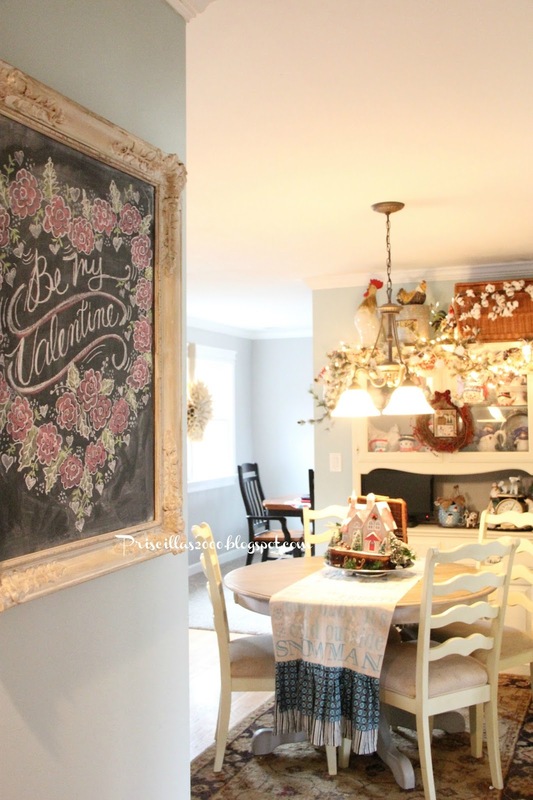 It hangs in the entrance to the kitchen from the family room.. I think it turned out so pretty ! About another week of the winter decor and I will be springing it up around here! Hope you are having a great week! 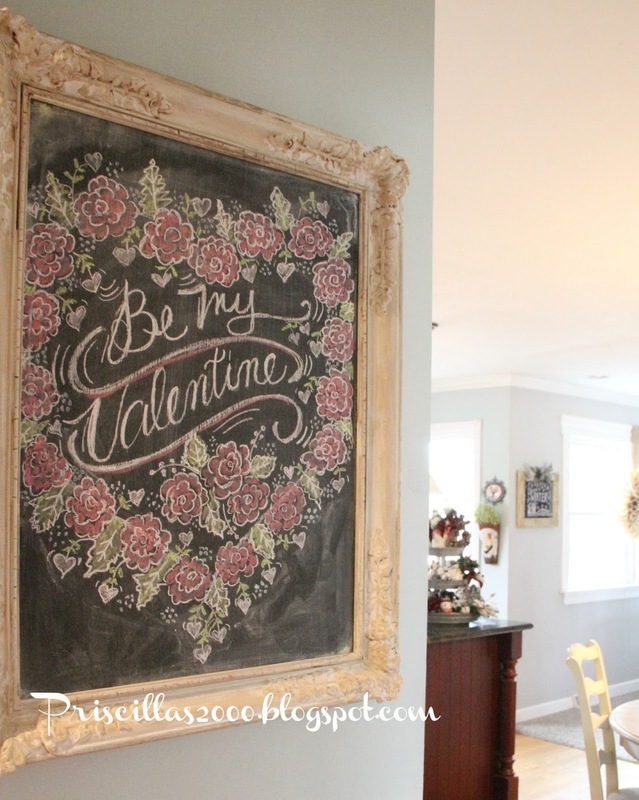 What a gorgeous chalkboard for Valentine's Day!! I love the name of the paint color too!